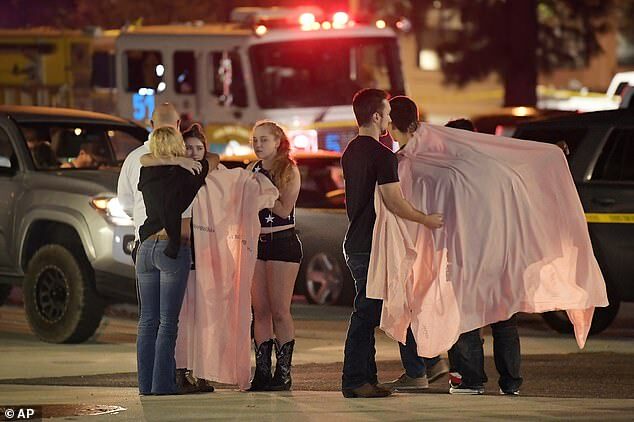 A masked gunman walked into the country music Borderline Bar & Grill in California and opened fire on Wednesday evening, killing at least 12 and injuring others before turning the gun on himself. The description of the murderer sounds just like an ANTIFA member. The Borderline bar is described as the county's "Largest Country Dance Hall & Live Music Venue" and boasts of 2,500 sqft of open dance floor, with pool tables, games and flat-screen TVs. The shooter was found dead at the scene from a gunshot wound. Several law enforcement officials identified him as Ian Long, 29. Law enforcement officials had earlier described him as a heavily tattooed white male. He was armed with a single handgun, was apparently not carrying a driver's license or any other form of ID, Dean said on "Today." ABC was reporting that 13 were killed and reported on the identity of the shooter. ABC News reports the suspect has been identified as David Ian Long. An official told the Associated Press the gunman was 29 years old and deployed a smoke device and used a .45-caliber handgun when he opened fire inside the Borderline Bar & Grill. During a press briefing, Dean identified the sergeant as Ron Helus, a 29-year veteran of the department who considered retiring within the next year. At points he choked up, but said that Helus died a hero. "Ron was a hardworking, dedicated sheriff's sergeant. He was totally committed. He gave his all and tonight, as I told his wife, he died a hero because he went in to save lives, to save other people," he said. "He was down. The gunman was throwing smoke grenades all over the place. I saw him point to the back of the cash register...and he just kept firing. I ran out the front door," he said. 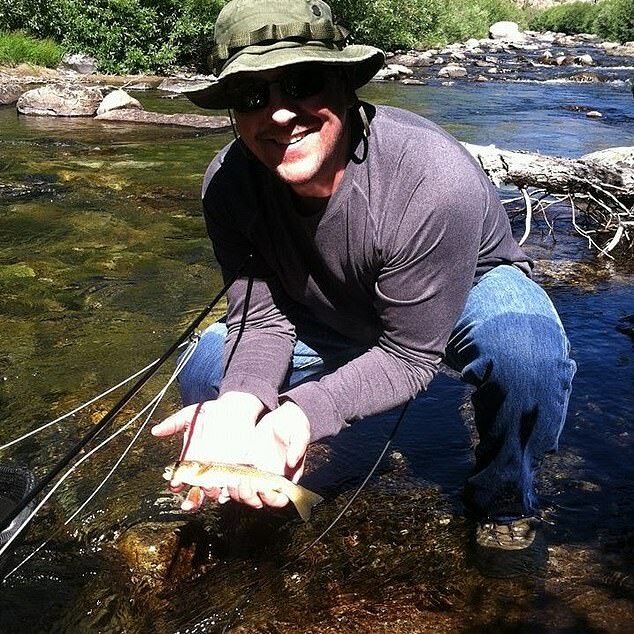 Sergeant Ron Helus was first on the scene and was shot dead. He is being held as a hero. Sergeant Helus and another officer from the Highway Patrol arrived at the scene of the massacre at 11.23pm last night - three minutes after the 911 call went out. After hearing gunfire coming from inside the bar, which was occupied by nearly 200 college students, he made entry into the venue and confronted the shooter. The Sergeant was shot several times and was left severely wounded. Civilians and other deputies pulled Sergeant Helus from the bar and he was taken to Los Robles hospital, where he died an hour later. "Ron was a hardworking dedicated sheriff's sergeant. He was totally committed, he gave his all"' Sheriff Geoff Dean said. "As I told his wife, he died a hero; he went into save lives, to save other people," he said. President Donald Trump praised the police on their quick response and Sergeant Helus in giving his life in attempts to stop the shooter. "I have been fully briefed on the terrible shooting in California. Law Enforcement and First Responders, together with the FBI, are on scene. 13 people, at this time, have been reported dead. Likewise, the shooter is dead, along with the first police officer to enter the bar...." he tweeted. The president then added, "....Great bravery shown by police. California Highway Patrol was on scene within 3 minutes, with first officer to enter shot numerous times. That Sheriff’s Sergeant died in the hospital. God bless all of the victims and families of the victims. Thank you to Law Enforcement." Interestingly enough, some of the people in the bar were survivors of the Las Vegas shooting that took place just over a year ago. Some of the witnesses to the California student shooting at a country music bar were also survivors of the Las Vegas massacre a year ago, friends say. No one can deny the timing of this shooting and how people like Communist Nancy Pelosi will use this to advance a gun confiscation agenda that should be summarily shut down as soon as anything leaves the House of Representatives by the US Senate. Democrats have already said out loud that they are going after Americans' guns. You may say, can't you leave politics out of this? I could if our enemies would, but I can't because they will use a criminal's actions to go after law-abiding people's rights. I cannot allow that to go unchallenged. It would be to abandon the post and not sound the alarm. If people had have armed themselves and the Communists in California not made it illegal to do so, threatening these people with jail sentences, perhaps this tragedy would have ended the moment it started and many lives would have been saved. California, you have your representatives to thank for this by making YOU a soft target everywhere you go.